Planning the perfect Bachelorette weekend can be a daunting task. What gifts and favors to have, where to go, what games to play? 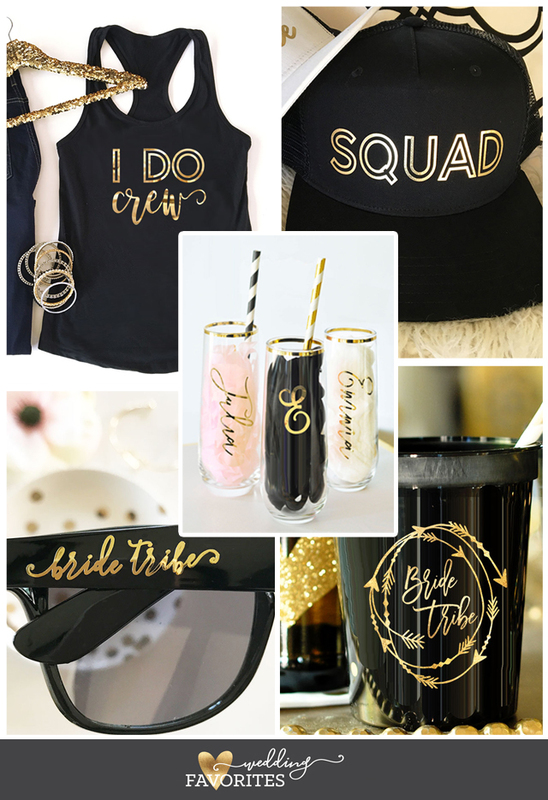 We can help take some of the hassle off your shoulders with our handy shopping guide to a chic Black and Gold Bachelorette gift set! 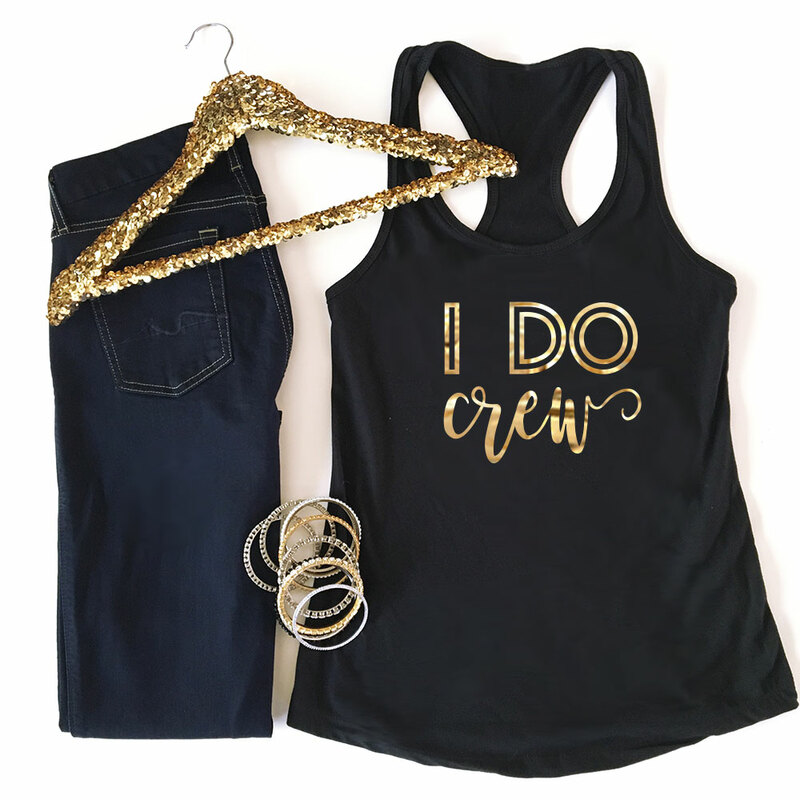 Leave your girls with a classy and glamorous momento from a wild weekend out on the town! Stemless glasses are unique gifts for bridesmaids or the newly engaged couple! 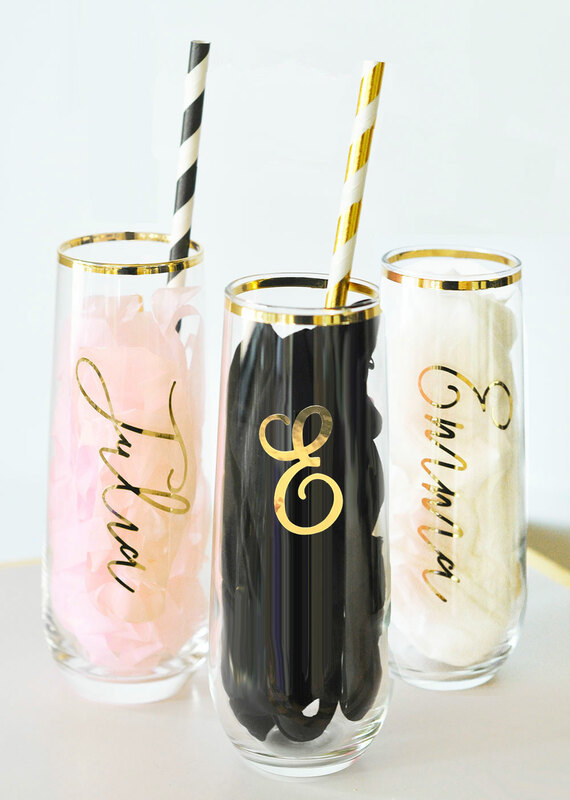 Monogram each glass with their soon-to-be shared initial to toast the newlyweds as a pretty gift. Each CLEAR gold rimmed glass comes with a monogram in bold written in METALLIC GOLD vinyl. Can’t start the party without a bag to carry all your loot in! Our Theme Canvas Totes are tres chic and reusable, your girls will thank you for them! Suns out Guns out isn’t just for the boys! Our tank tops are the perfect way to party on the beach for your summer bachelorette bash! 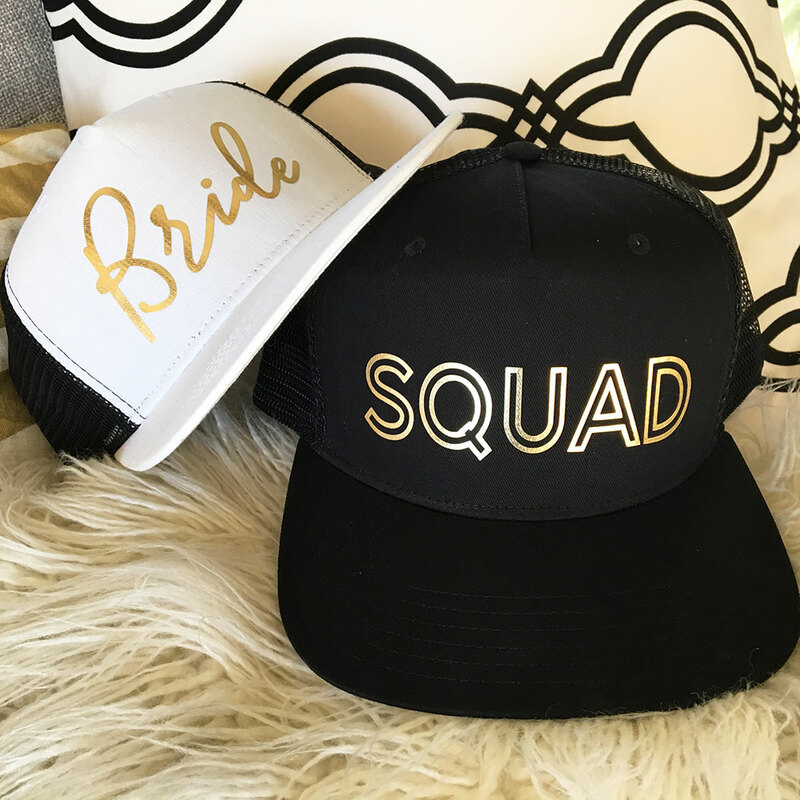 You and your crew will look fly as hell in our Bride Squad Hats. Available in black on black of black on white, your girls will be turning heads for sure! Bling never looked so good! 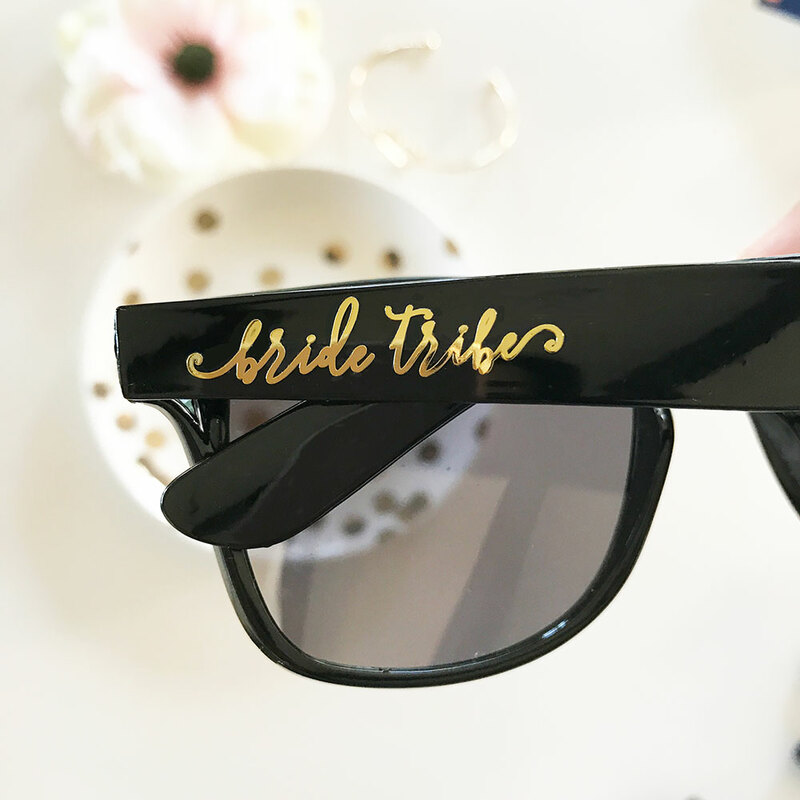 Gold Bride Tribe Sunglasses make a stylish gift for your bachelorette party weekend. Each pair of sunglasses comes personalized with your choice of bride, bride tribe, or squad in black print. It’s not a bachelorette party without a few drinks now is it? 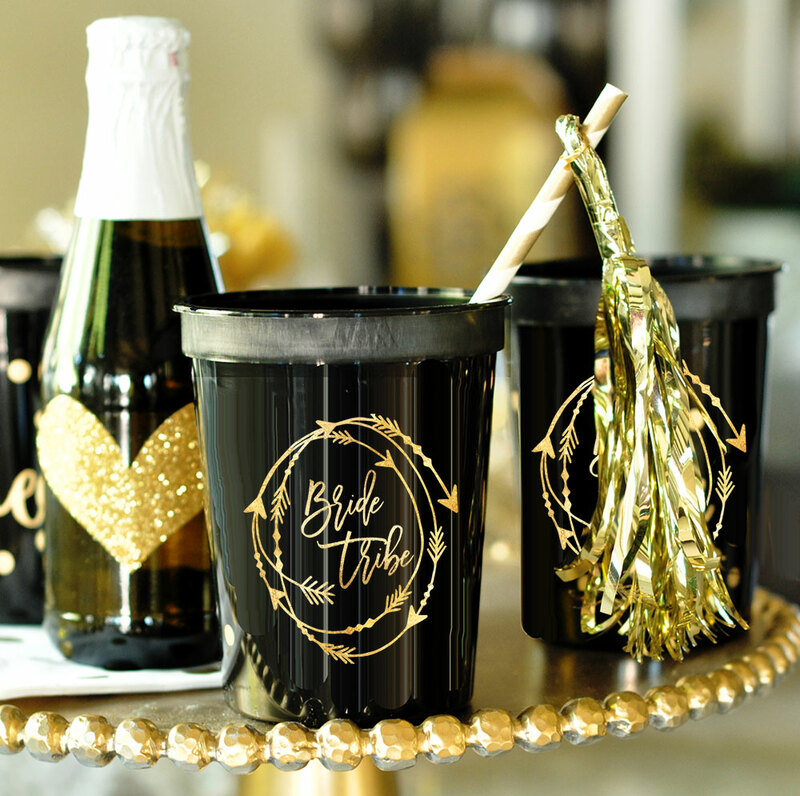 Have your cups match the rest of your party with our Bride Tribe Cups! Great article! 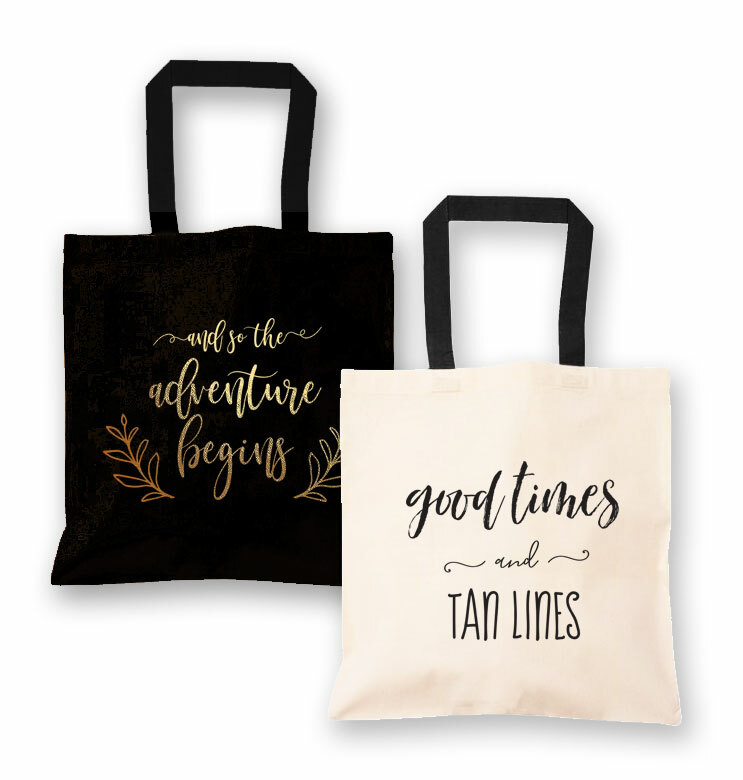 I’ve been looking for party favors for my sister’s upcoming destination bachelorette party, so I was thrilled when I stumbled across your site on Pinterest! I’m excited to explore your party favors and more!